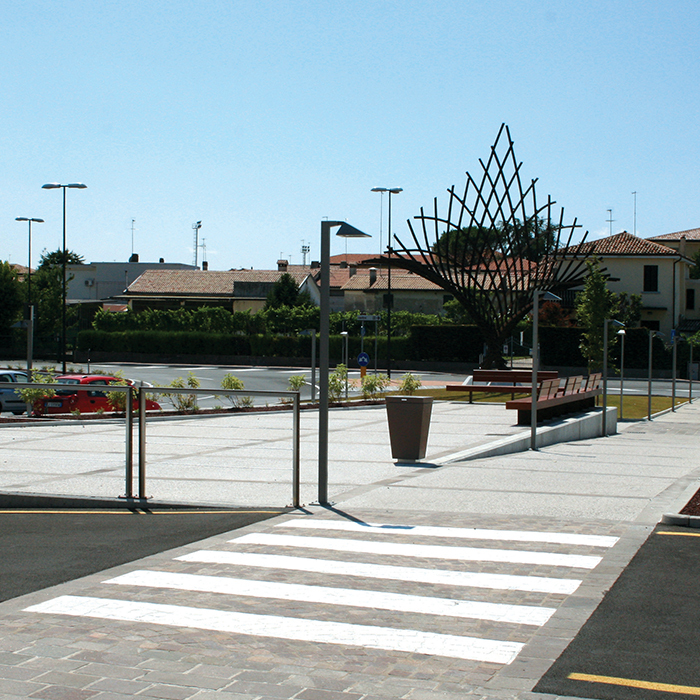 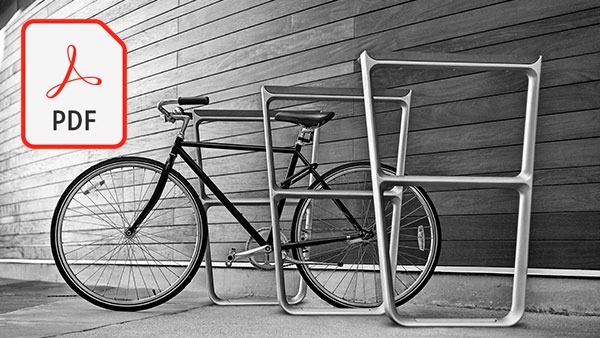 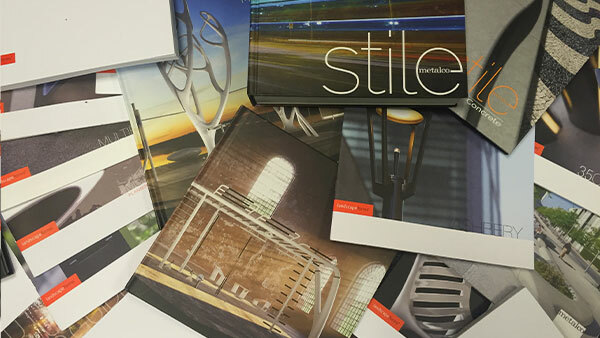 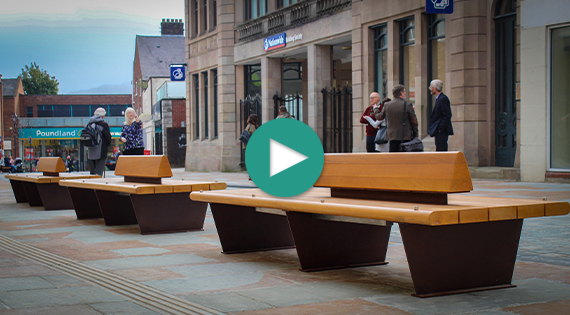 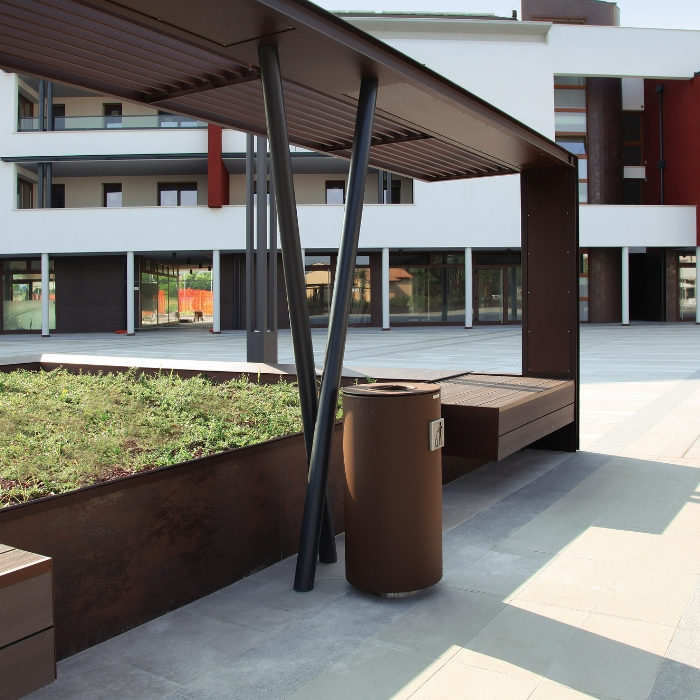 Body/Top - powder coated steel; stainless steel; corten steel; timber. 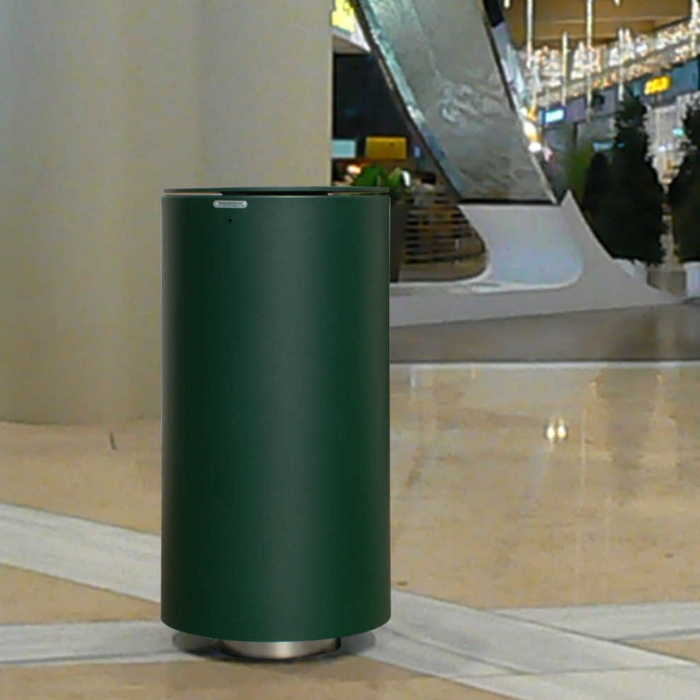 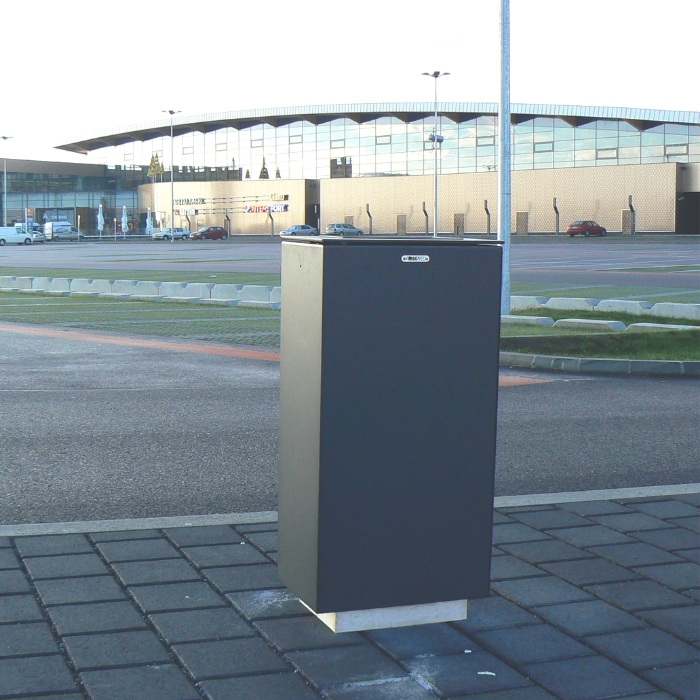 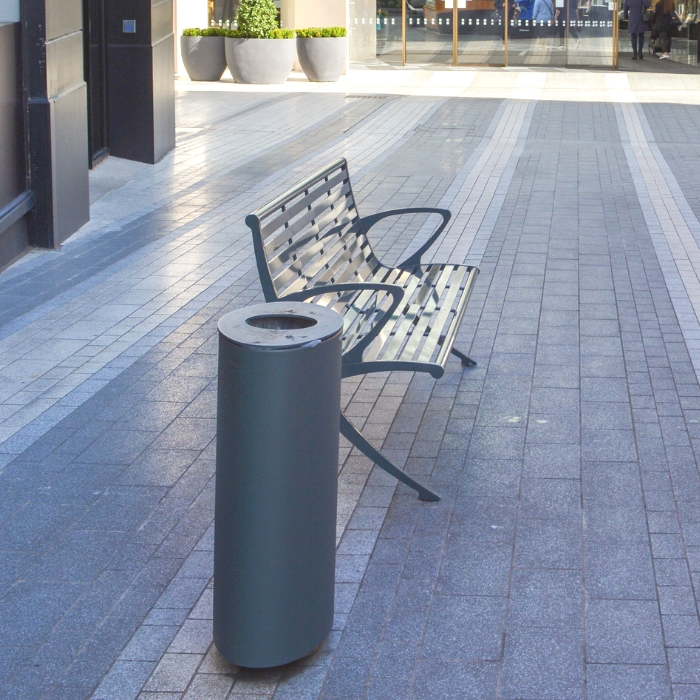 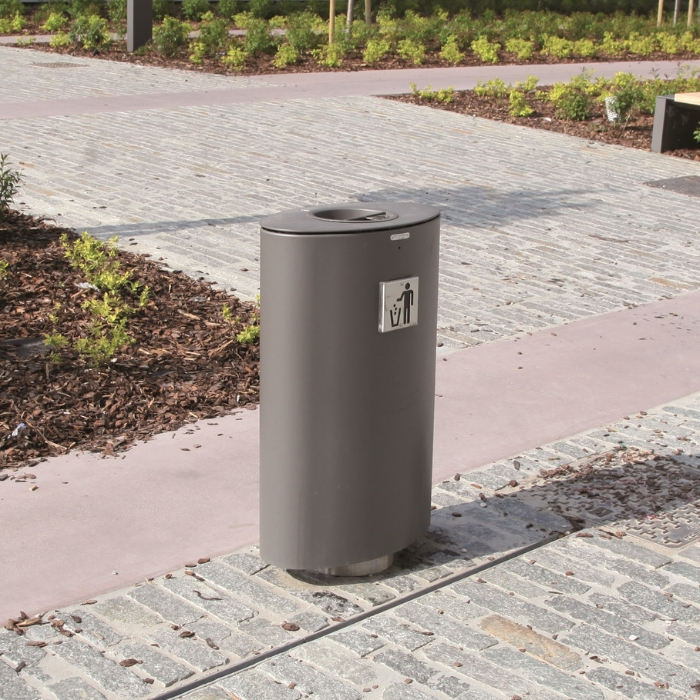 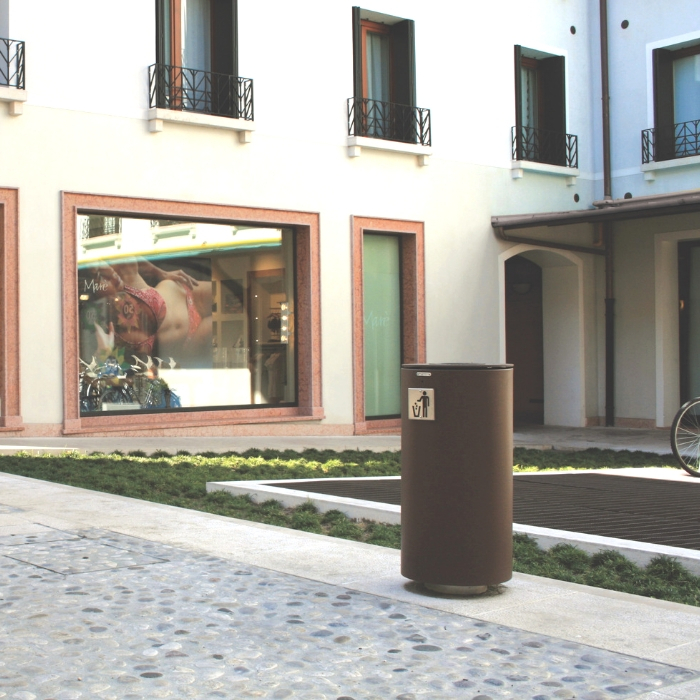 The Spencer Litterbin is available in various shapes: circular, truncated pyramid, square, rectangular and elliptical. 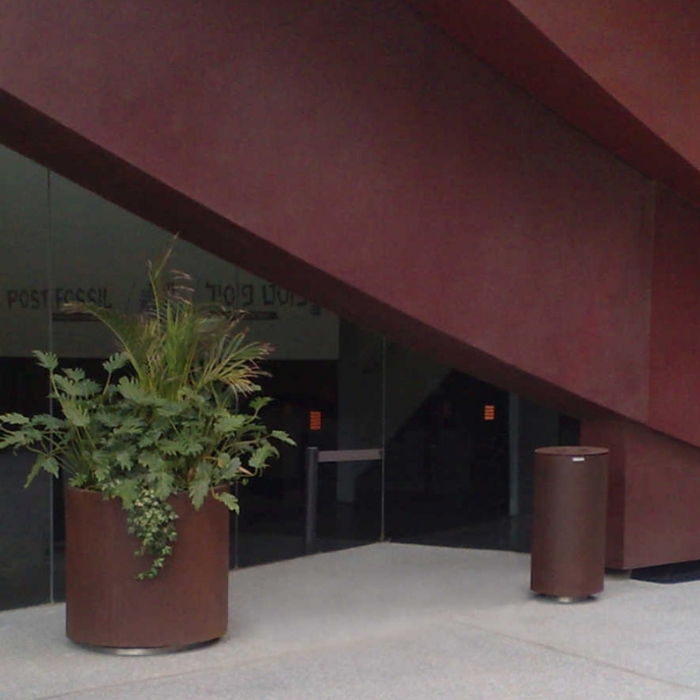 All these shapes can be equipped with ashtrays, side or central opening and Decals. 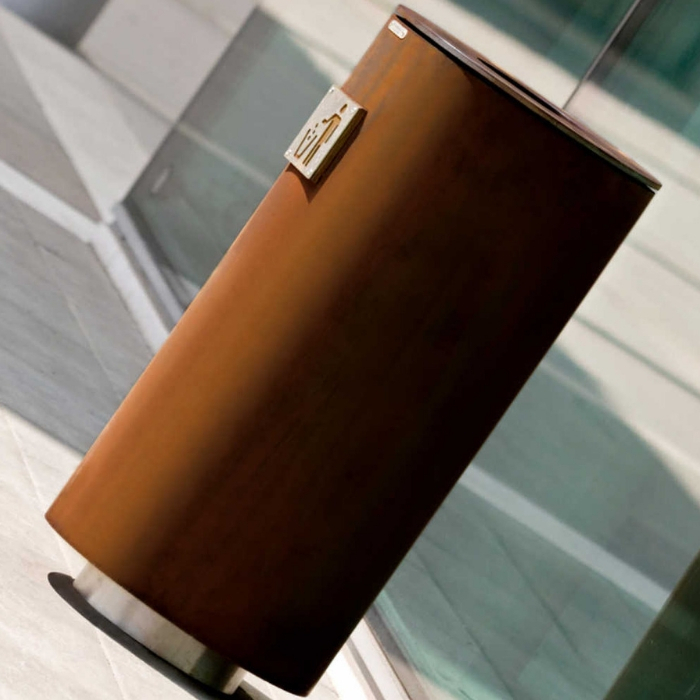 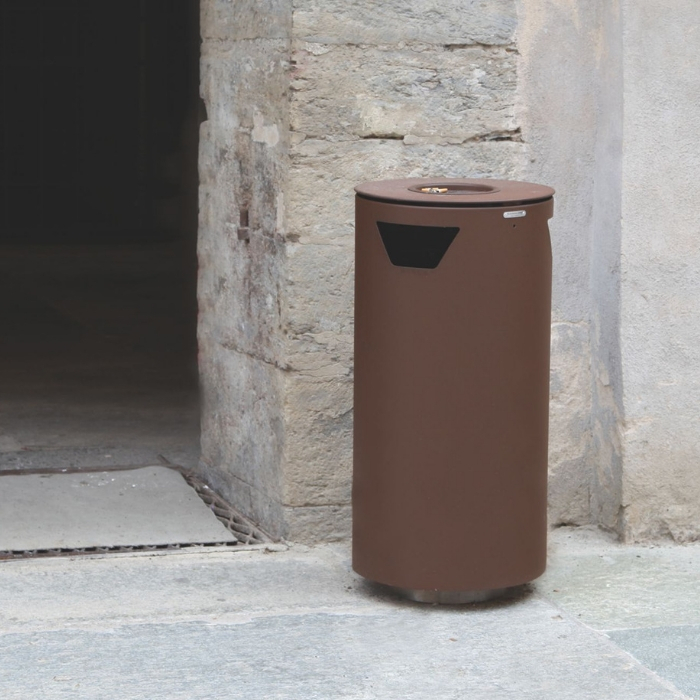 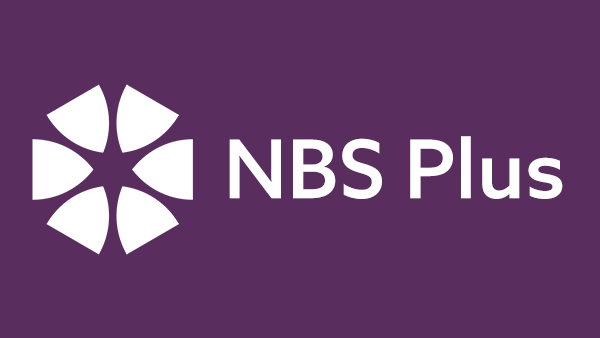 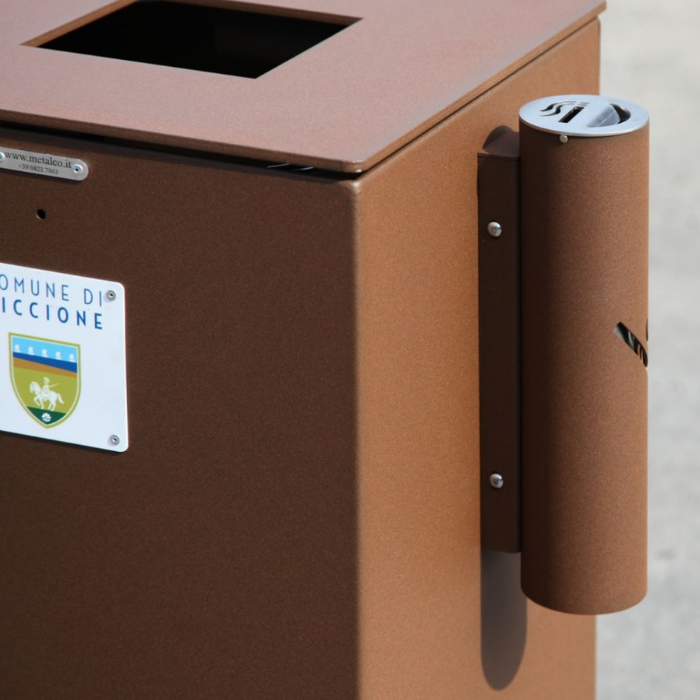 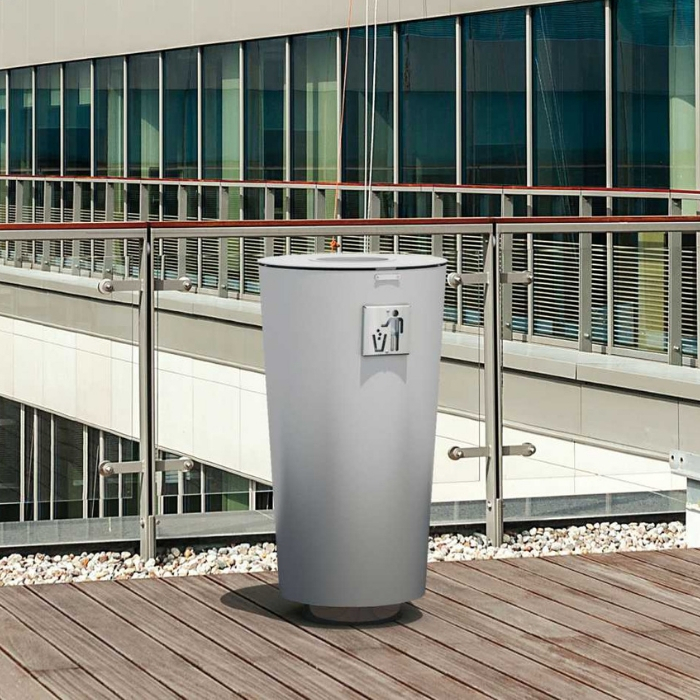 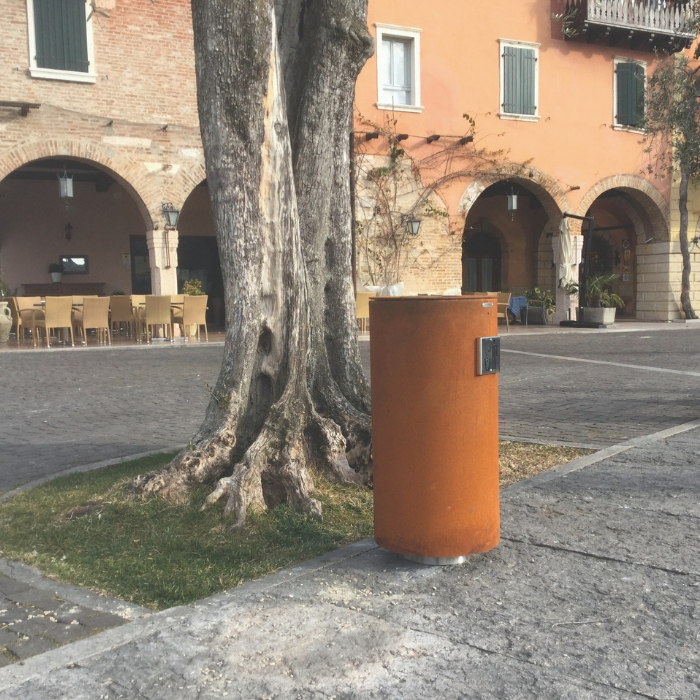 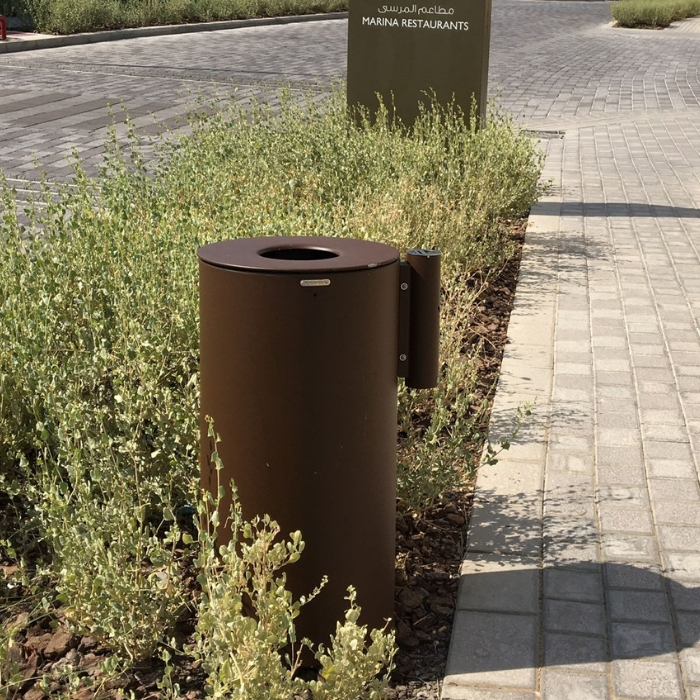 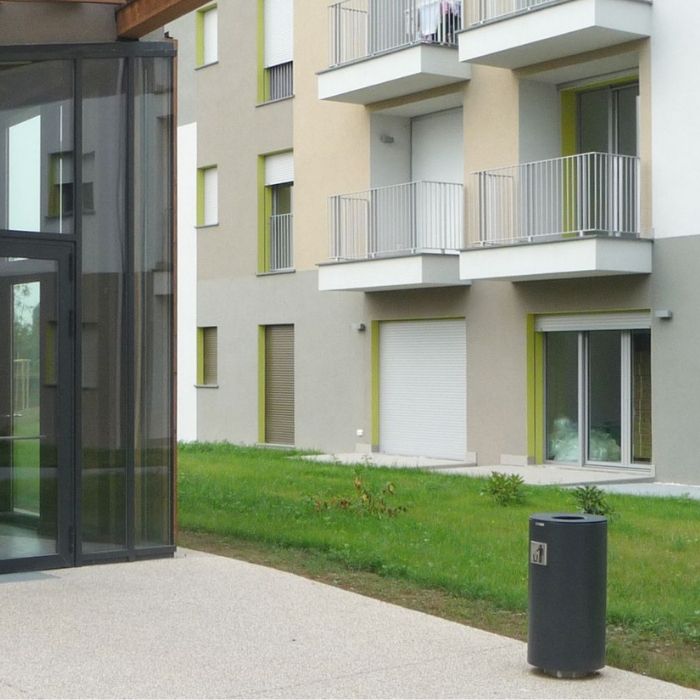 Another highly customisable feature of the bin is the extensive options for it’s cladding, available in; powder coated steel, timber, Corten and stainless steel. 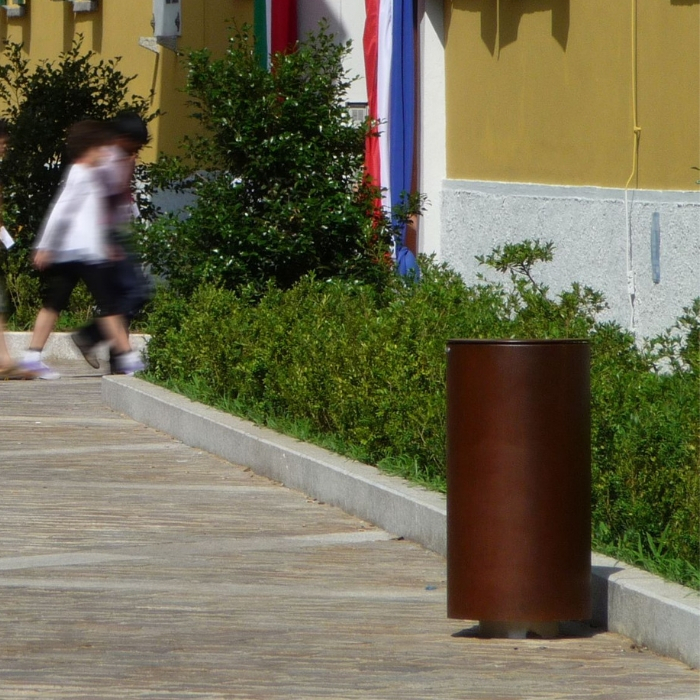 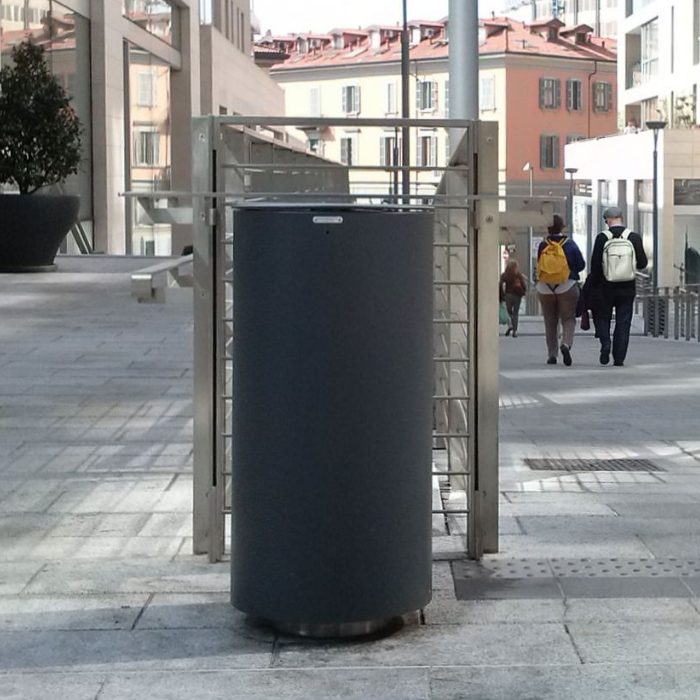 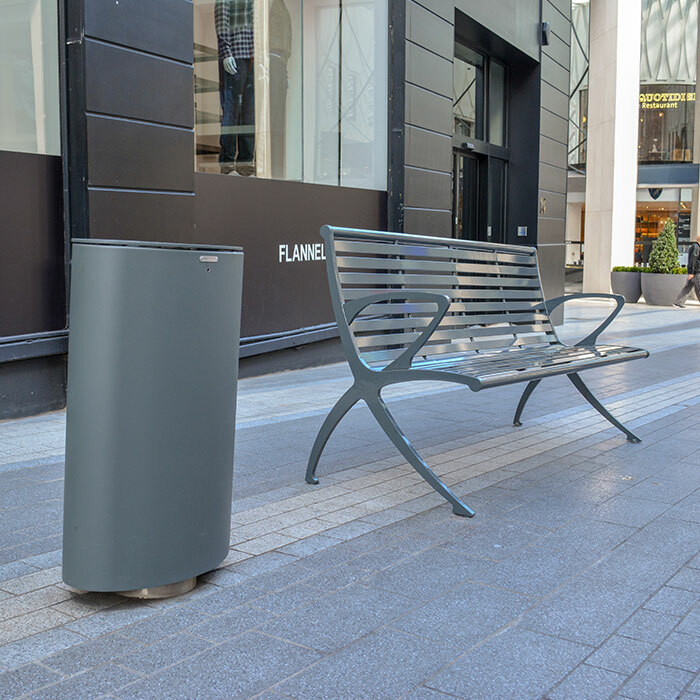 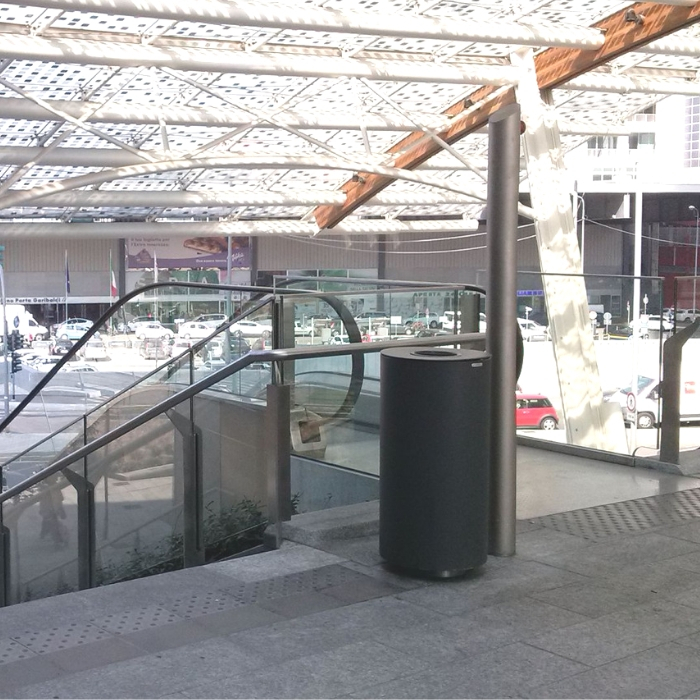 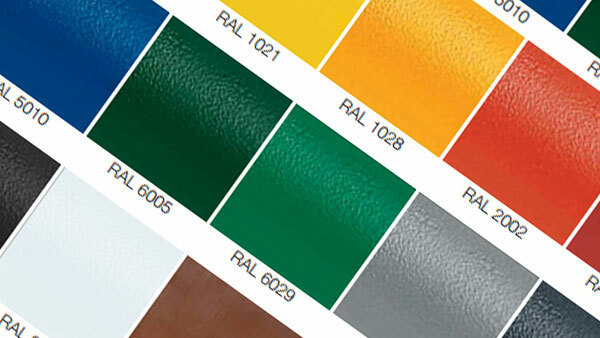 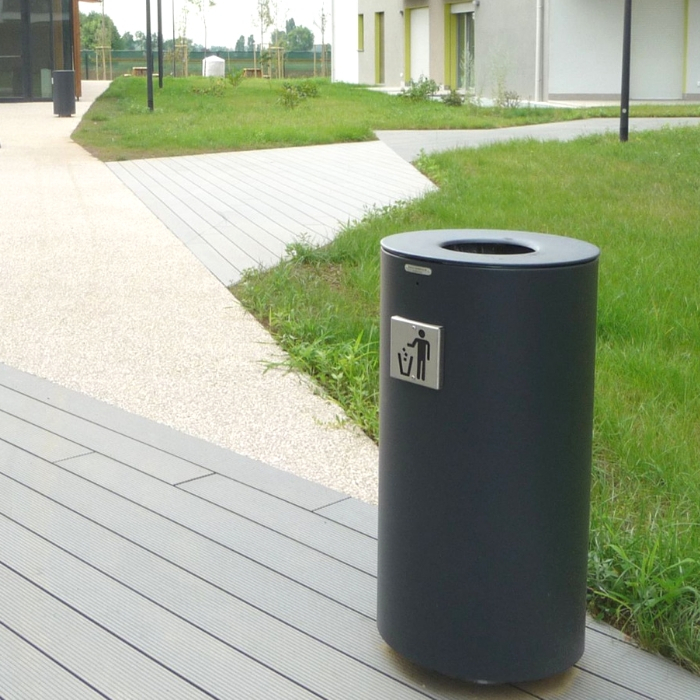 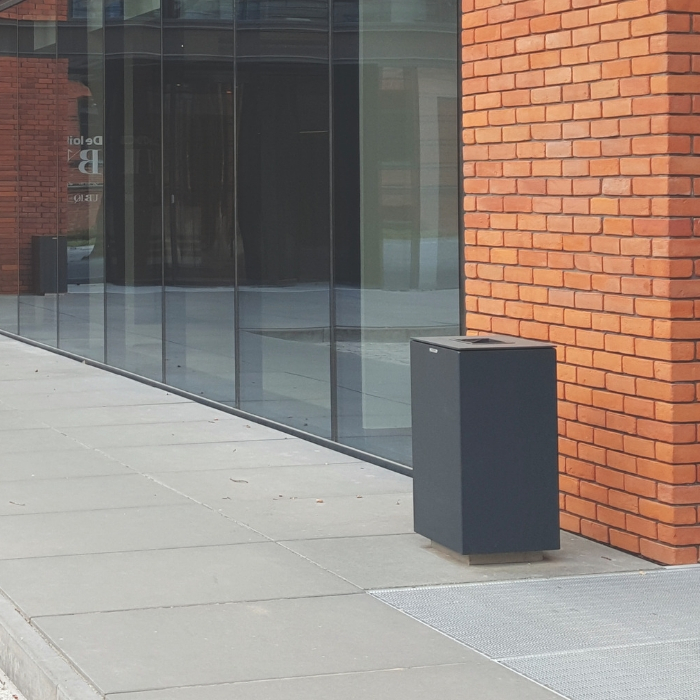 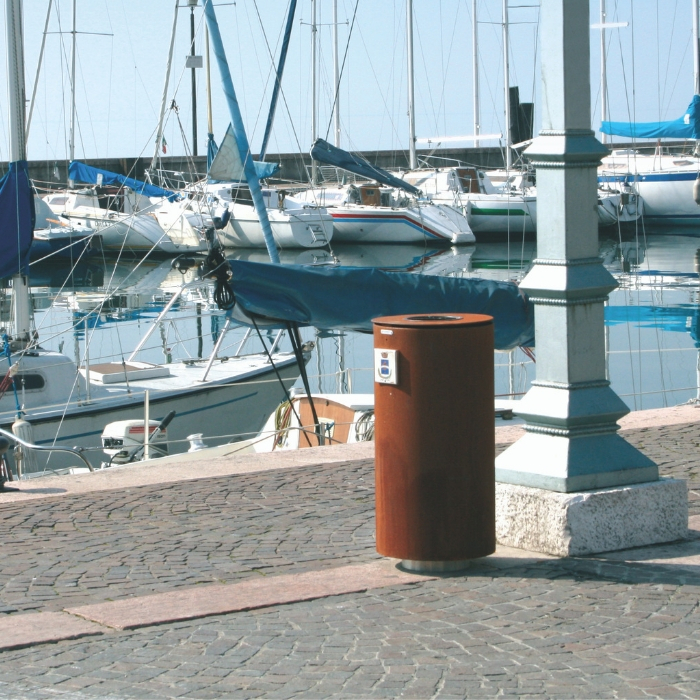 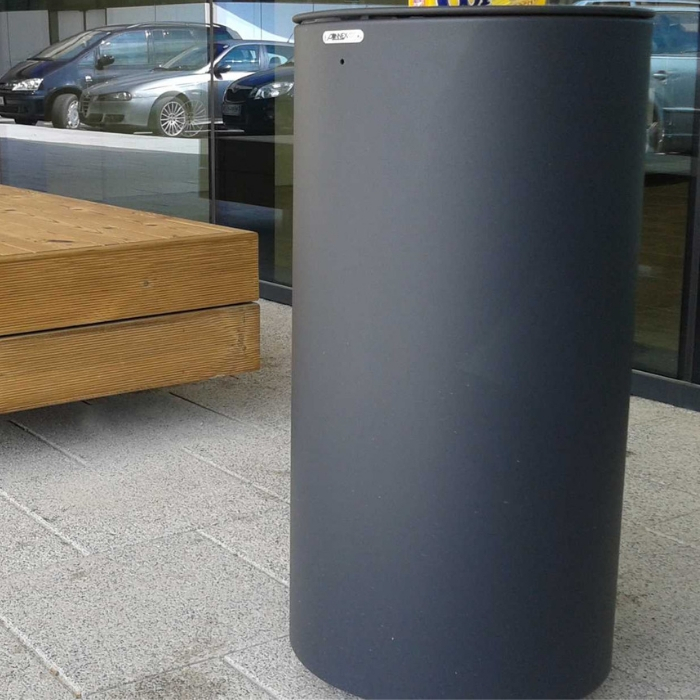 All options feature a patented slam lock to ensure safety and security of the litterbin.